Wallpapering isn't for the faint of heart, but with careful project planning, you can set yourself up for success—and an eye-catching reward. 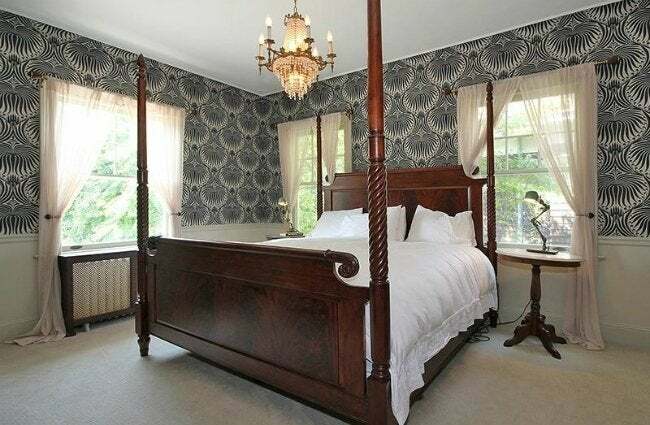 Gone are the days of your grandmother’s chintzy wallpaper. Today, a wide range of compelling designs are available, and due to advances in manufacturing, it’s easier than ever to hang wallpaper. Still, if you’ve never worked with the stuff before, the prospect can seem daunting. That said, anyone can learn the ways of wallpaper. If you’re in the early stages of planning a DIY wallpaper project, these tips can help you buy right and install the product with a minimum of trouble. 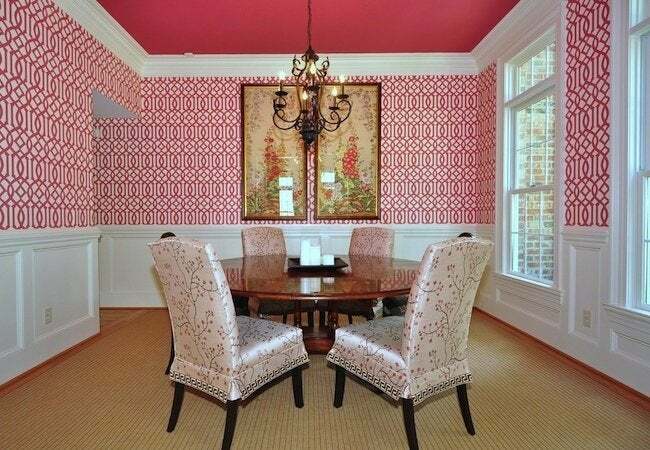 Know this: It’s not unusual for a homeowner to keep the same wallpaper for as long as 15 or 20 years. So beware of trends and consider the long term before you go so far as to make a purchase. As much as you like a given pattern right now, do you think you’re going to like it as much next year, or several years down the line? If it’s your first time tackling this type of project, go easy on yourself and start by wallpapering, not a multifaceted space, but a long, uninterrupted wall. Features like doorways and corners only add complexity and require extra trimming and alignment work. Also, remember that, much like a bold paint color, a little wallpaper goes a long way toward making a visual impact. Reconsider your plans to wallpaper an entire room; instead, why not create a single accent wall? Though you can still find wallpapers that must be applied in the traditional method, most are now self-adhesive or pre-treated with a water-activated glue. Unless you’ve hung wallpaper before, it’s best to steer clear of any product that must be glued on. Of all the many options available, self-adhesive vinyl is thought to be the most manageable for first-timers. Actually, most wallpapers on the market these days are made of vinyl, not paper. In part, that’s because vinyl lends itself quite well to easy maintenance. It’s a hard pill to swallow if you’ve fallen in love with an intricately patterned paper, but where installation is concerned, some papers are much easier to install than others. Think it through and choose a wallpaper suitable for your skill level. Hey, if you can’t hang it properly, it’s not going to look good! Solids: For beginners, textured solids are the safest bet, because they do not need to be carefully aligned. And if imperfections exist—either in your application of the paper or in the irregularity of the room—these problems mostly remain hidden, as the naked eye cannot pick them out amid the sea of color. Stripes: Far less forgiving is striped wallpaper, which, even for experience do-it-yourselfers, can be tricky to line up properly. And if the room isn’t perfectly level and square, the stripes have a way of calling attention to those flaws. Hung properly in ideal circumstances, though, striped wallpaper draws the eye upward. As a result, the stripes somehow manage to make a small room look decidedly taller. Patterns: If you’re considering a patterned wallpaper, don’t forget—patterns repeat! You might like the sample, but would you like to see that pattern spread over and over across the breadth of the space? In the end, it’s a matter of taste. Generally speaking, patterns with a repeat of six inches or fewer tend to camouflage misalignments. Larger patterns, with a repeat of 12 inches or more, are easier on the eye when used in abundance, but these papers must be installed perfectly to look right. Choosing a wallpaper is hard; deciding how much to buy is easier. A good rule of thumb? Don’t buy too little. Fortunately, by taking careful measurements, you can be sure to purchase enough wallpaper for the project, without overspending. Start by determining the total square footage of the walls you plan to cover. From that number, subtract 10 square feet for every door or full-size window. The resulting number equals the amount of wallpaper, in square footage, you’re going to need. Complicating matters is the reality that, in the course of hanging wallpaper, you’re almost definitely going to create waste. That’s especially true with patterned paper that must be trimmed to line up with the previously applied sheet. It’s not a mistake to buy at least one or two extra rolls beyond what’s strictly necessary. If you’ve read this far, you can rest assured that you’ve got the dedication, and now the insight, necessary to hang wallpaper with success. Yes, the process makes painting seem comparatively and appealingly effortless. But while wallpaper may be more demanding, the labor comes with an obvious, eye-catching reward.